During the first 5 to 7 days of development, the embryo is surrounded and protected by an outer shell called the Zona Pellucida. Normally, when the embryo reaches the uterus, this Zona partially dissolves and the embryo ‘hatches’ and get out, in order to implant in the uterus. In some patients infertility may be caused by a hardening of the Zona, which makes it difficult for the embryo to hatch and implant. Assisted hatching is a laboratory micromanipulation technique carried out just before the embryos are placed in the uterus to help the embryo to hatch from the zona. The laser assisted hatching is designed to improve the efficiency and success rates of assisted reproductive technology procedures (ART) such as IVF & ICSI. The unfertilized egg is surrounded by a shell called Zona Pellucida. The Zona has an important role in fertilization. It allows only one sperm to penetrate the Zona and enter the egg to make fertilization. After fertilization of the egg, and during the cleavage stage of an embryo, the Zona Pellucida hardens. This development is normal in order to keep the cells in the egg together. The embryo has to "hatch" or break out and get out of the Zona in order to embed and implant into the endometrium lining of the uterine cavity. This happens about 2-3 days after embryo transfer when the embryo is at the blastocyst stage. Naturally this happens by expanding/contracting of the Zona until it distorts, allowing the blastocyst to "hatch" and get out. When sperm fertilize the eggs in the IVF laboratory, the Zona Pellucida hardens at much faster rate than natural, making it more difficult for the embryo to implant. Before implantation, the embryo has to escape out of its Zona Pellucida by a process called hatching. If this process is not completed properly, implantation failure occurs and a pregnancy is unable to continue. Assisted hatching consists of creating a hole in Zona Pellucida, to help the embryo in the hatching process. The Laser technology for Assisted Hatching (LAH), where a precision laser beam is focused over the Zona Pellucida making a small opening, between 10-20 microns to facilitate embryo hatching. LAH is done just before the Embryo Transfer. This helps to increase pregnancy rates by improving implantation rates, since embryo hatching is made easier. It’s a fast, and safe method compared to the old method of hatching which was performed by using acidic medium on the Zona to create a small hole. The accuracy of the laser is determined by its programming. There is high degree accuracy. It is also recommend that thawed embryos (frozen embryos) should be treated with laser assisted hatching before Embryo Transfer to increase success rates. Who can benefit from Laser Assisted Hatching? • Patients with day 3 embryos having a thick Zona noted by embryologist. • Patients with failed previous IVF/ICSI cycles. • Women older than 35 years of age, have a tendency to produce eggs with a harder Zona Pellucida than younger women. • Women with a high Follicle Stimulating Hormone (FSH) level. • Patients having IVF/ICSI for the first time, who are considered poor responders, because they needed a high dose of gonadotropins for poor ovarian response. 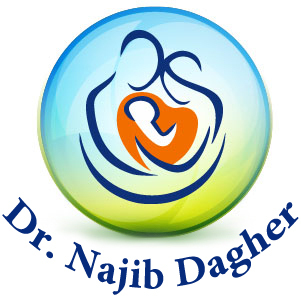 • Patients who in previous IVF cycles had low fertilization rate, resulting in three or fewer embryos. • Patients who ask for laser assisted hatching and are fully informed of its use and function. • Frozen embryo before transfer.